Dr. Bradley Boeve received his Doctor of Medicine degree from the University of Florida in 1991. He underwent training in Internal Medicine (internship), Neurology (residency), Behavioral Neurology (fellowship), and Sleep Medicine (fellowship) in the Mayo Graduate School of Medicine at Mayo Clinic in Rochester, Minnesota. He joined the Mayo Clinic staff in 1997 and now serves as Chair of the Enterprise Subspecialty of Behavioral Neurology of Mayo Clinic, Chair of the Division of Behavioral Neurology at Mayo Clinic Rochester, and is Professor of Neurology in the Mayo Clinic College of Medicine. He is a Diplomate of the American Board of Psychiatry and Neurology (Neurology and Sleep Medicine), and United Council on Neurologic Subspecialties (Behavioral Neurology and Neuropsychiatry). He also serves on the Medical/Scientific Advisory Councils of the Association for Frontotemporal Degeneration, Lewy Body Dementia Association and Tau Consortium. 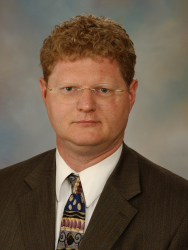 Dr. Boeve’s clinical and research interests include mild cognitive impairment, dementia with Lewy bodies/Parkinson’s disease with dementia and REM sleep behavior disorder, among many others. He has authored over 30 book chapters and has contributed to over 400 papers in peer-reviewed journals. Dr. Boeve has served as an investigator for clinical trials sponsored by GE Healthcare, FORUM Pharmaceuticals and C2N Diagnostics. He receives royalties from the publication of a book entitled Behavioral Neurology Of Dementia (Cambridge Medicine, 2009). He serves on the Scientific Advisory Board of the Tau Consortium. He receives research support from the NIH (U01 AG045390, U54 NS092089, P50 AG016574, UO1 AG006786, RO1 AG041797), and the Mangurian Foundation. Angela Taylor is the Director of Programs and oversees all areas of LBDA’s mission-oriented activities, including programs and services for LBD families, educational programming, as well as advocacy and research initiatives. A nationally-recognized LBD advocate, she serves on the federal Advisory Council on Alzheimer’s Research, Care and Services. 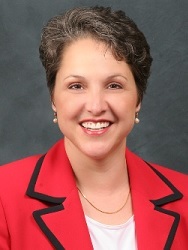 She is also the liaison to LBDA’s Scientific Advisory Council.